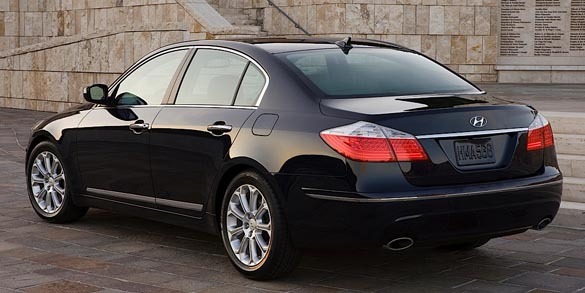 My favourite Hyundai is Genesis sedan. It is the new XG. Call my an old man but I think the body shape is very clean. Too bad they dont have a Right Hand Drive version. look at the previous generation of Sonata may give you some hints. While the brand certainly improved a lot in the past few years, I think the whole hyundai thing is overhyped. The Elantra, the veloster were told to be the civic and crz killer. However after a while, people realize they are just a 2Xk car and you get what you pay for. Not bad cars, but is it THAT good? I doubt. And in Ontario, the insurance premium for Hyundai cars are just as expensive as Civic, so while you think you are saving on the car price, the insurance premium will almost even out what you saved. In terms of sales figures, the Korean cars do have huge impact to Japanese cars sales in general. As for resale value, base on the consumer report, Toyota still leading big time. my gf's father buy a Hyundai i40, good design and option! GMT+8, 2019-4-24 16:48, Processed in 0.043126 second(s), 3 queries.